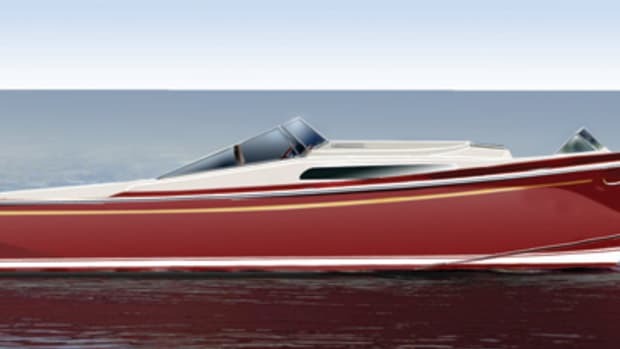 The Island Pilot&apos;s DSe&apos;s catamaran hulls are long and slender to produce minimum drag. 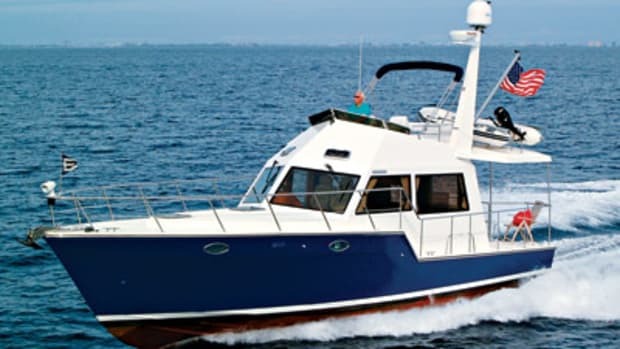 When the first Island Pilot 395 was introduced two years ago, she defied established convention and raised a lot of eyebrows, partly due to her distinctive angular styling, but mainly because of her unconventional propulsion system. Stern drives on a 42-footer? Why would anyone do that? Outstanding performance, efficiency, and maneuverability are three good reasons, causing even some seasoned skeptics to rethink their assumptions. With its current project, the Island Pilot design team takes another bold departure from conventional thinking. 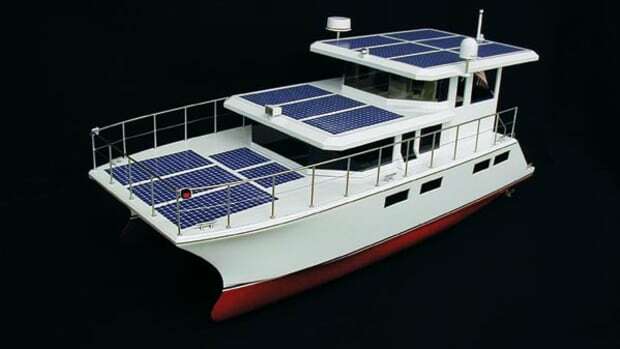 Powered by an innovative hybrid diesel-solar-electric propulsion system, this new boat will be able to cruise at 6 knots on solar power alone, using virtually no diesel fuel. 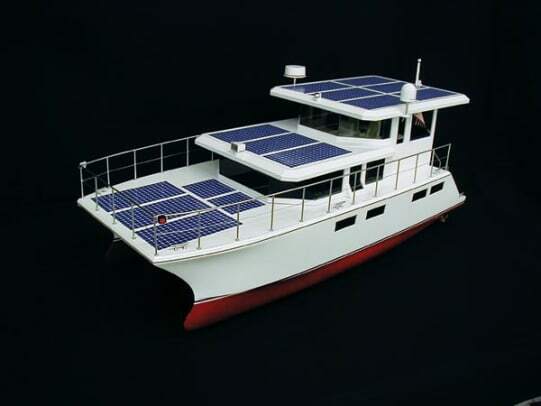 Speed her up a bit and her diesel gensets automatically kick in, delivering up to 25 kW to each of her two electric motors. That’s enough oomph to make about 15 knots while sipping fuel at a miserly rate of just 3.8 gph (total) or less, depending on solar panel output. 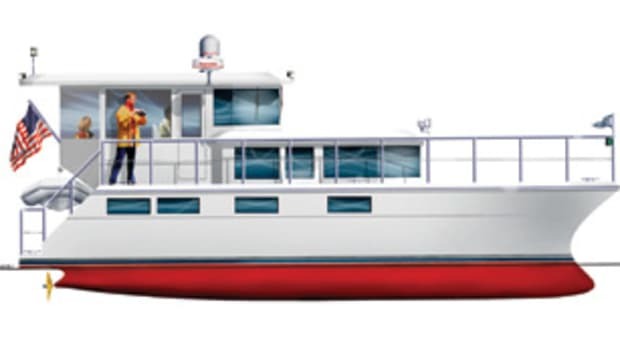 The design brief for the DSe Hybrid was deceptively simple: provide comfortable cruising accommodations for two couples (or a family of four) in a boat that can travel indefinitely while consuming little or no fuel, but with the ability to make a good turn of speed on demand. Implicit was the requirement that the project be economically viable; thus all of the components in the design are of existing, proven technology. The innovative part of it all lies in the manner in which these elements are combined into a system. 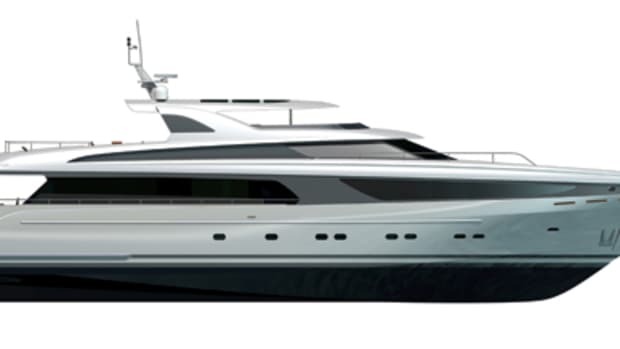 A key feature of the DSe design is her catamaran hull form; two sleek hulls, with an underwater shape that’s as streamlined as a torpedo. 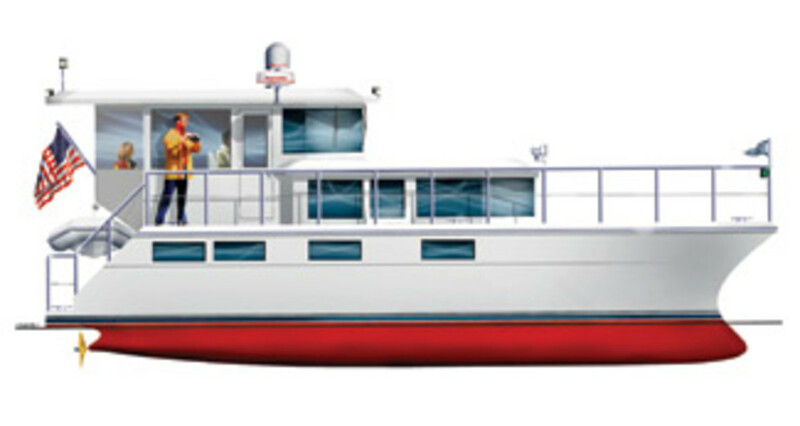 Protruding forward from each bow is a slender bulb that will let the hulls ease through the seas with minimal resistance. Their wave-piercing form will also reduce pitching in waves. To achieve maximum propulsive efficiency, gentle contours in her stern are designed to provide optimum flow into her large four-blade propellers. 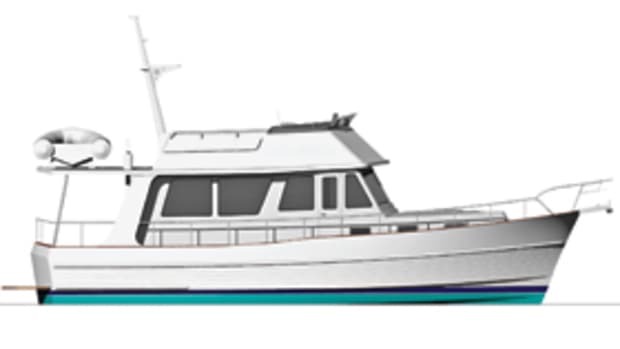 Her slender hulls and wide stance (13-foot center-to-center hull spacing) will ensure exceptional stability and good course-tracking ability. 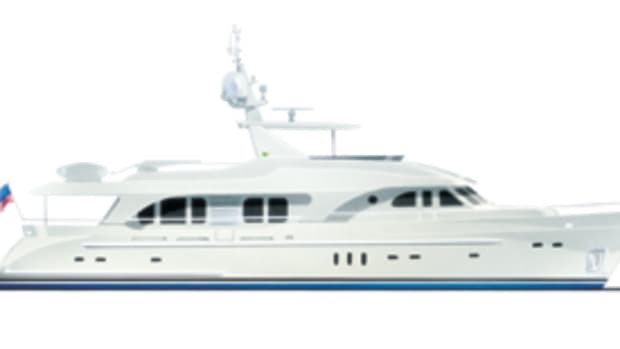 This article originally appeared in the November 2006 issue of Power & Motoryacht magazine.